Nintendo announced a paid online subscription service for its hybrid console Switch earlier this year. The service was originally meant to launch in the fall of 2017, but was pushed back to an unspecified date in 2018. 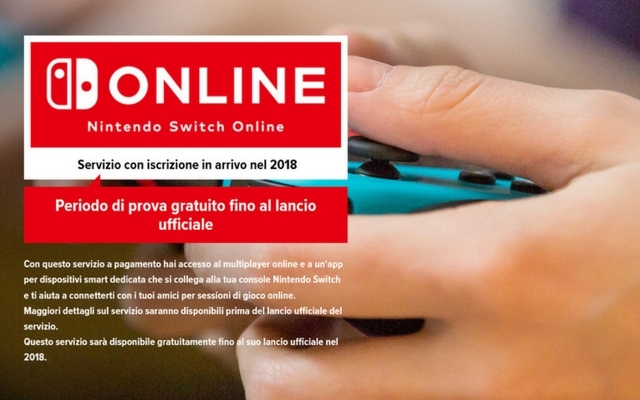 And now, according to Nintendo’s Italian website, the Switch online subscription service has been delayed further, and might only release in Fall 2018. This significant delay, means the service would be late to arrive by a year. As of now, Nintendo is yet to give an explanation for the delay, and it remains to be seen whether the service will be delayed in all regions or only in the European market. The fact that Nintendo has kept fans hanging without any explanation is fuelling theories on the fate of service and Switch platform. A delay such as this usually indicates infrastructure issues or perhaps, Nintendo has decided to change the feature set in the last minute, adding to the development time. Despite the spate of delays in getting the service off the ground, Nintendo Switch online play remains free for all users, till the paid version goes live in fall 2018. After the free trial period, a majority of games will require a paid online service subscription from Nintendo in order to play online. Besides the subscription service, Nintendo launched a mobile companion app that will let players invite friends, set up gaming sessions, or chat with friends during games on their second screens. The app is already live in both Play Store as well App store, but it is a very limited version at the moment. Just to touch base with the pricing, the online subscription service will cost $3.99, with three months running to $7.99, and a year’s membership available for $19.99. The fee also includes access to classic titles, which have been updated with multiplayer support and are playable on the new console. The online service is only available for Nintendo Switch, and it does not affect Wii U or Nintendo 3DS systems or online play.